One of the beautiful thing about living in the California Foothills is spending time outside, whether in your garden or hiking and enjoying the wildlife that blesses our area. We are fortunate to have wonderful guides to enhance our experiences! Below is just a taste of what we offer! 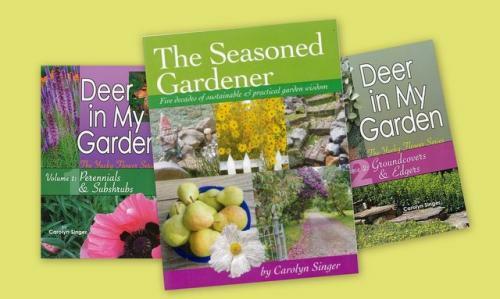 This incredible compilation of Carolyn Singer's work over her many years of gardening is a must for foothill gardeners!